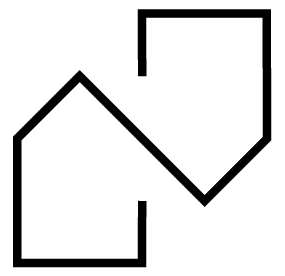 Coinhab.si and Coinhab.com websites with information on plots and on the construction of Coinhab d.o.o. are referred as: WEB PLATFORM. Owner and manager of web platforms Coinhab.si and Coinhab.com, company Coinhab d.o.o. is referred as: ADMINISTRATOR. Web platform is intended for use for visitors - investors. These can be private persons, companies or institutions who intend to build or renovate and are looking for realestate, cobuilders or informations and are hereby referred as: USERS. Web platform is intended for use for providers or building plots, which can be companies os private persons and are hereby referred as: CONTRACTORS. Web platform is intended for use for architects and architectual bureau`s, who can post their references; referred as: ARCHITECTS. Web platform is intended for use for private persons or companies which intendt to invest in realestate; referred as: DEVELOPERS. All different kinds of registered users of the web platform are hereby referred to as: REGISTERED USERS. Any use of a website that could damage, disable, overburden or harm the website, technical equipment or Coinhab d.o.o. is not allowed. The administrator reserves the right to remove immediately from the list of users those who would violate these policies or otherwise harm the site or other users. The administrator strives for the accuracy and promptness of information on all parts of the site. If there is some inaccurate information, the administrator will rectify it upon reacieving warning from the user, contractor, developer or architect. The administrator will respond within 7 business days after receiving a written notification. All information that is published or transmitted to registered users and visitors is of informative nature. The administrator does not guarantee or hold responsibility for it`s accuracy. The administrator is also not liable for any damages done by using information from the web platform. At the beginning of the implementation of the project, registered users will sign a cooperation agreement with administrator. Any breaches of this agreement and disputes will be resolved by the competent court in Maribor. Copyrights for all content and demand are the property of the administrator, so their reproduction or use on other websites is prohibited in accordance with the Copyright and Related Rights Act (ZASP), except for content created by registered users, subject to the same determined by ZASP. Users can use the site by joining interesting projects, by joining suitable plots chosen by the administrator for each user. If the user does not submit complete information in the online registration form, in particular phone number, administrator invites him to provide the missing information. If a user does not provide this information within one working week, the administrator reserves the right to disable the user account. The administrator does not guarantee the response of building plots providers to the user's questions within a particular project. The administrator will protect all personal data, including contact details, e-mail addresses and telephone numbers in accordance with the Personal Data Protection Act (ZVOP) and GDPR (General Data Protection Regulation). The administrator explicitly does not allow the provision of calculations, visualizations, floor plans, conceptual projects and other contents of publications on the online system to third parties. In case of suspecting that the user, architect, developer or contractor will abuse the information provided, administrator may prevent the user, architect, developer or contract from using the system without warning or justification. Published content is created for informational purposes and only and is created by administrator or other authors. The administrator or authors are not responsible for their accuracy. •	on the basis of system administrator`s own assessment. The administrator reserves the right to change the exclusion criteria. •	working email address and phone number. •	other textual, visual or other content which is part of the published builing lot. •	based on the administrator`s own judgement. •	valid address and title of the company or the veljaven naslov ter naziv podjetja ali architectural bureau. •	landing page of the architect`s profile comprised of textual or graphic materials. The administrator reserves the right to make any changes, in part or in full, to any part of the terms and conditions, upon which he must inform the users of the site in advance. Changes apply from the moment of publication on the web platform. The administrator undertakes that the applicable conditions will always be easily accessible on the web platform. The agreement on the acceptance of these general terms and conditions is concluded in Maribor. Disputes arising from the use of the web platform services of these general terms and conditions shall be governed by the exclusive law of the Republic of Slovenia. Any dispute arising out of this agreement will be resolved by mutual agreement between the parties involved. Otherwise, each contracting party may initiate a dispute with the competent court in Maribor.